to another wonderful episode of our Homebrew Happy Hour podcast! In case you haven’t been listening to any episodes prior to today, we’re located in Central Texas… which means we are in a 50’ish mile radius of some of the most amazing micro and craft breweries that the nation has to offer (this is now the part where folks outside of Texas email Joshua to tell him how wrong he is that Texas has the best craft breweries!). 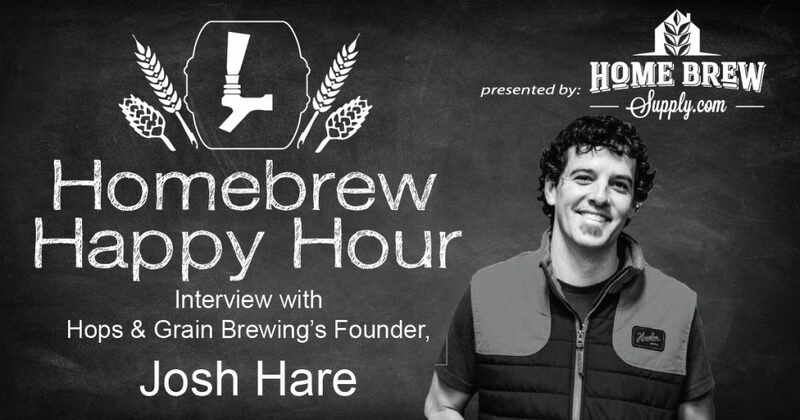 On today’s episode, Joshua drives the 15 or so miles down the road to east Austin to meet up with Josh Hare, the founder and president of Hops & Grain Brewing. Hops & Grain are not only doing amazing things in the beer world, but they’re also committed to doing amazing things in their local community. In this interview, Josh Hare elaborates on what it means to be a good neighbor; not only in their neighborhood but also to the world! He also discusses his history as a homebrewer and what led to him taking that “next step” many of us dream of as homebrewers!